Thanks for the fix Ebahr, appreciated. Hopefully an official fix will materialise as an bonus Xmas present. Looking back at the promos maybe we should ask Joelegecko what they did. The only promos that show teeth fixed are either their product or promos that bear their definite stamp. Compare the main promo image for Pink Ink and several of the promo images for Flower Power. The issue was there all along I just didn't see it in the rush to checkout with the discount. Unmasked use of the smoothing brush, somewhere along the line was the cause...the question is when/where in the chain did it happen. I've got a pretty good idea of what Ebahr's morph does, so if the original problem is far enough back in the chain, then something like that will need to be applied, permanently...short of going back and rebuilding the morphs from scratch. Actually, it may be better to apply a fix morph like that, anyway...who knows what will have to be 'undone' to get the teeth back...and possibly if it is, the end results won't be the same (so there'd be two versions). It's really easy to make that mistake in ZBrush, too. I always remember (now) to hide the eyes, but have forgotten the inner mouth several times. I had a base for this morph already that I using to correct some of my own errors- It pretty much is a slight "inflate", the using a move topological to adjust to tooth shaping a little bit, so they didn't look so balloned after inflating. A morph style fix should help with any head morphs that have the teeth smoothed out too much like that, too. take default genesis, reposition it so that it's teeth are in the right place for justin, store that as a morph target, load the teen figure in over genesis, mask everything but the teeth and use the morph target brush to restore them to default. load the fixed teeth into studio through morph loader pro, use reverse deformations, set them as an morph that applies multiply style when justin is dialed in, hide the new fix morph mcm and pretend like you never made the mistake in the first place. A similar setup could be done with Ebahr's fix morphs. As I noted Waaaay back in the beginning of the thread, there are a couple of quick fixes. The smothing teeth option for a number of the toon characters... which comes with Hitomi, Hiro 5 and... I believe, 3D universes figures, which are on sale this weekend... does a bang up job of fixing the problem. (See attached close-up from an image of Julie I'm working on.) I usually don't like the overly defined look that straight renders of the teeth in most Daz figures usually have anyway, as real mouths normally have an obscuring sheen of saliva that blurs the teeth together, so ever since I discovered the smoothing tooth function on Hitomi, I use it to some degree on practically everything except broad grins. It just looks more like the way a photographic camera images real teeth. Very nice advice there, I had to print that out for later use, TY. I have a few morphs I've been working on for ElfQuest style chara's, and using that method would help me tremendously on tweaking. It simply would make no sense to me why anyone at DAZ would mess with a morph. It's my understanding that they sometimes will correct paths and what not but not over haul a morph or texture set. If that's needed they send it back to the originating merchant to fix or update. Your pic looks awesome Cybersox. I cannot believe this wasn't tested. How something like this gets past QC is beyond me. Yet another DAZ fail. There better be an official fix for this soon or I'm just getting a refund. We shouldn't be paying for additional stuff just to get "normal" teeth. Thanks :) The semi-final version is up in the official render thread now. I'm having a blast with the new teens and Satsuki, as I'm finally getting exactly the right look for my younger characters. The merchants that created this product should be making a fix and update, folks shouldn't have to look for other solutions. From my own experiences in ZBrush using the smoothing brush without masking the inner mouth can cause this to happen as well as exporting the Genesis figure at High Rez... Genesis should always be exported at the lowest rez to any modeling app to avoid these sorts of issues with just about everything with detail. I found it also causes loss in ear detail and the nostrils to shrink and smooth out too much. Again, you should NOT have to be looking around for fixes. The merchants need to fix their product. Agreed, was considering this product. The Faces of Teens promo images, the 2nd image has 5 or 6 open mouth shots. And the teeth look fine. Perhaps this is a plan to sell products with bad teeth, then sell this upcoming Dental Plan product for a lot. To the Author of Young Teens 5, just fix it. ...fair enough, however I still find it difficult that something this glaring would have been missed by a PA who is so detail oriented. KK if Amy has a tooth smothing dial it should work fine on Justin or Julie ,that's the plus of Genesis. ...thanks, I''ll give that a try when I get home. The freebie that was put up on ShareCG works very well. There are 3 strengths too. So nicely thought out. ...so I have the teeth fix extracted. Where do I put it? 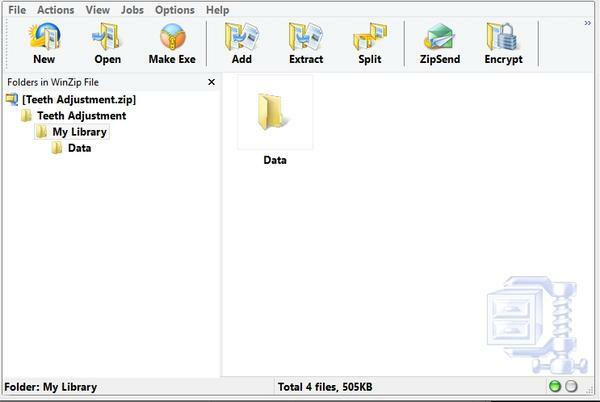 It's a data folder... just drop the Data folder from the zip into My Library and it will go where it's supposed to go (If your using Windows this is what's done. If your using MAC I think there is another way to do this but not sure of HOW to do that without it overwriting the entire Data folder). Once installed simply start a new instance of Genesis and it will be there under Actor, front and center called "DVL-LVD". Now my Leela can have her goofy smile back. I probably wouldn't have noticed, but when we met with my Sister-in-law and her family for the holiday today, I noticed that my 16-year old nephew's teeth aren't as tightly together as adult teeth. They aren't as gapped as a toddlers, but there were definite gaps. Gaps which I wouldn't have noticed at all except for this thread. So a full fix may not be as accurate as we thought. And according to a couple of dental sites and my family dentist, by about age 14 the teeth should be pretty much in the adult position/configuration. But since Ebahr's fix and Zev's upcoming dental package, are slider based, we can adjust things how we want them to be. OK even stranger (and highly annoying). Made two minor adjustments, one to the specular and the other to the ambient colour of the teeth to see if that would help them to show up better. The result was the the render process would crash at about 98% complete. What is really idiotic about this is that this afternoon when I did the first render using the Teen IBL lights, the process completed even though I was online at the same time. When I attempted the render tests with the changes, I was not only offline but also closed all unnecessary processes. I cannot believe that a simple colour change would have caused this. I had not changed the lighting, nor any of the surface settings save for the lighting model for the teeth to "plastic". The reflectivity index was 0% so that wasn't the reason. okay I just got back from my vacation in sunny Queensland :) I was made aware of this and since I haven't had a chance to look at it yet, I can't tell you if it was that way in the original morph (which is actually not accurate since there were at least 3 "originals" and a lot of work done by both DAZ and myself after original submission, during any of which times this could have slipped in). I will make a permanent fix which will be easy enough and post it here as well as give it as an update to DAZ. There will also be a permanent fix to the base morph as an update to the package so in future there will be no problems. Hopefully I can get this done in the next day or so. Thanks for your patience and I apologize on behalf of DAZ and myself for the inconvenience this has no doubt caused. Welcome back, and hopefully your vacation went well. :) Look forward to the fix, and thank you for taking care of it this quickly after your return. I hope you had a lovely holiday,. Thank you for looking into the issue in a timely manner. It is most appreciated. I am however, still appalled at the lack of QA by DAZ on this. Apparently, apart from Thorne, no-one at DAZ seems concerned enough with this issue to even warrant an official response on this thread. Sigh.